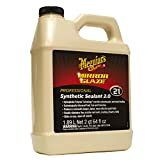 2.1 Is It Worth Buying Car Paint Sealant? 2.2 What’s the difference between car wax & paint sealants? 2.3 How do you apply a synthetic paint sealant? There are few things that you own that will take more abuse than your vehicles paint finish. 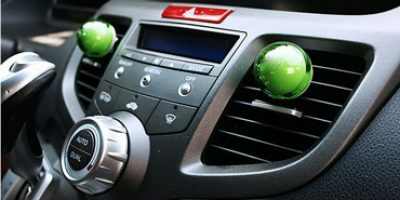 It is constantly being bombarded with stones, bugs, tar and other road debris; not to mention what toll the climate in your area takes on it too. Often times if you look at your car’s paint finish closely you will see it has been chipped away in spots or even scratched. It can be very frustrating, especially if you own a newer vehicle. So how do you prevent this from happening? The answer is you need to seal your car’s paint finish on a regular basis. This article will tell you how to choose the best car paint sealant for this purpose. 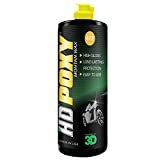 If you want the shine of carnauba wax without having to apply it every few weeks, then this is the paint sealant for you. CarGuys has been satisfying customers with this product for many years now. We can see why after trying it ourselves. It is a paint sealer that goes on easy and wipes off very clean once it dries too. If you put a buffer to it before you are done, it will make your car’s finish look as close to showroom new as you will get. There were two things that really impressed us about this product. One is that it comes in a kit with everything you need to properly apply it. The other is that it seems to leave your car with the highest gloss finish of any of the paint sealers that we tested. The bottle that it comes in only contains 16 ounces of product which is enough to do two or three vehicles. That means this product is a little pricey for how much sealant you get. Also, the finish will not come out looking good unless your car is spotlessly clean before you start the application process. If you’re looking for a professional grade ceramic coating that’s easy to apply and produces better results than a paint sealant, Armor Shield IX is the right choice for you. Armor Shield IX is a premium ceramic car coating that has been reformulated for easier application on cars with quality paint surfaces and a strong clear coat. Created by AvalonKing, Armor Shield IX DIY Nano-Ceramic Coating kit includes a 30mL bottle (perfect for a motorcycle or small car), application sponge, (3) applicator suedes, high-quality microfiber towel, and protective safety gloves. Their customer service is exceptional, instructions are easy to understand, and the packaging is next level. There are three items that pop about Armor Shield IX. First, it has an incredibly long life-span, ranging from three to five years – much longer than any paint sealant. Second, the hydrophobic properties and amazing shine produced after installation turns your car into an easier to clean and maintain head turner. Third, it’s exceptionally user friendly – with fast shipping and customer service that is quick to reply, friendly, and honest. Like other ceramic coating products, there is quite a lot of prep work involved before application. Plus, it’s not intended to be a paint restoration product. Also, if you have a truck or larger car, you’ll need a few kits (AvalonKing offers discounts for multiple kit purchases which is a nice touch). Check The Price at Avalonking! Waxing your car is great but a good paint sealant takes this process a big step further. This is a very good one from the reputable Meguiar’s auto products company. Once applied to your vehicle it will provide it with a long-lasting finish that will not only protect it but also make it shine. This paint finish goes on easy and leaves a great shine that lasts. It takes no special tools to put it on your car and will simply wipe away when dry. The finish that this paint sealant provides is simply magnificent. It is great because when applied correctly it does not leave any signs on the finish of your vehicle to show that it’s there. It will also eliminate fine swirl marks and scratches during the application process. This is a very pricey auto finishing product, to say the least, but most people will feel the price is worth it. Impatient people will not want to use this product because you have to take your time and apply it properly or else the finished product will not look good. This is the type of paint sealing product you want to use if you only want to do the job once every few months and you want to do it right. 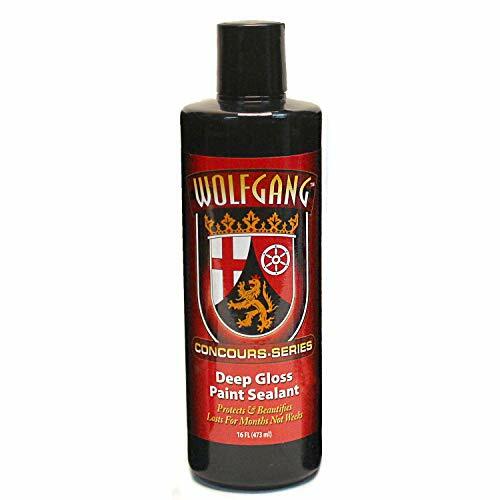 Wolfgang’s paint sealant will leave your car’s finish much improved over what it was when you started. When you are done your car’s finish will really stand out. It is a product that only requires you to wipe it on and spread it out right after your car has been washed. The finish produces not only will make your finish shine but it will also give your car a desired wet look that is similar to that of popular carnauba wax. It’s really amazing how vibrant the color of your car’s finish looks after using this product. It is as if you have put a fresh coat of paint on your vehicle. The results you get when applying this product to your car’s finish really are that good. There is not a lot that we did not like about this product. It is worth mentioning that it has a very strong odor when applying it that is not pleasant. This product is also more expensive than most paint sealers on our list due to its smaller size bottle. 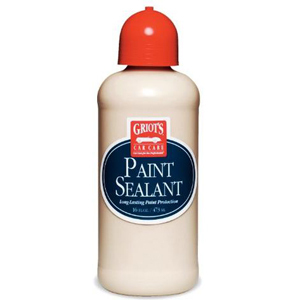 This is a really high-quality paint sealant that Griot’s Garage has made here. We can easily see why it is a paint sealant that is rumored to be used by many professional detailers. It will leave your car looking great long after it has been applied. You do not have to buff the finish when using this product but if you do it will turn out looking showroom good. There is a lot to like about this product but the polymer strength that holds it on is what we like best. That guarantees you will not have to repeat the application of it anytime soon. The formula is said to be so strong because it makes an actual chemical bond with the paint it is applied to. It even smells better than most paint sealers that we tried. What didn’t we like about it? Well for one it comes in a very small size bottle. If you like it you may want to get more than one so you don’t run out. Unfortunately, you will also have to use a little more elbow grease with this product than some of the other paint sealants that we put on. This yet another high-end paint sealant that does a great job of protecting your vehicle’s finish. 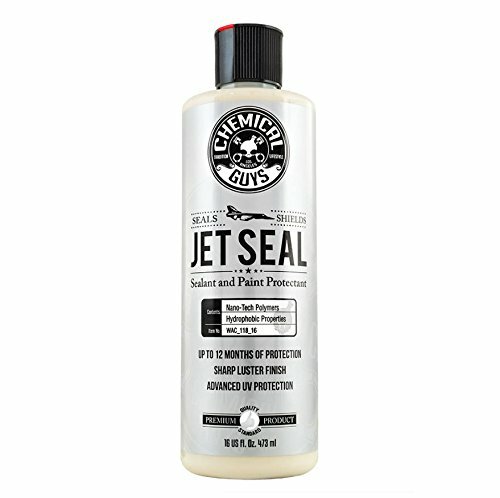 JetSeal is a product that many of us have personally seen on the shelves of some professional auto detailers. After trying it out we can all definitely see why they would use it. It is a product that is incredibly simple to apply. There is no buffing necessary when done but it will enhance the look even further if you take the time to do it. This is another paint sealant that will give your car the wet finish look that many car owners crave. It does so without streaking or leaving any visible cloth marks. When you are done applying it you will step back in awe for several minutes as you take in how good your car now looks. 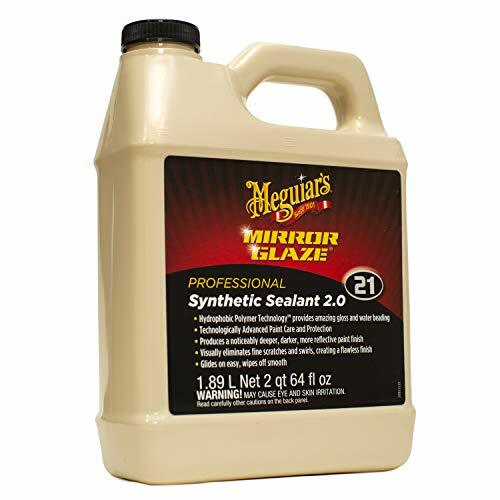 This product does not look its best unless you use it in combination with other products such as Meguiar’s M105 Mirror Glaze Ultra-Cut Compound first. 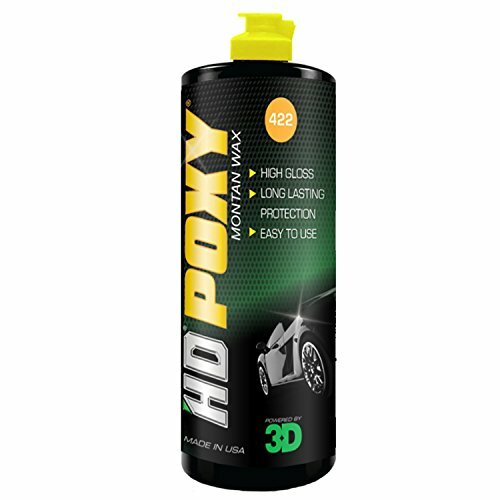 So we do not recommend it as a stand-alone product but that can be said for many car paint sealants. FINISH : The coat on your car will look like liquid, bringing out colors and shining in any light. TECHNOLOGY : Hybrid Nano Polymer Sealant-Wax. PROVIDE : Durable, protective, high gloss finish. 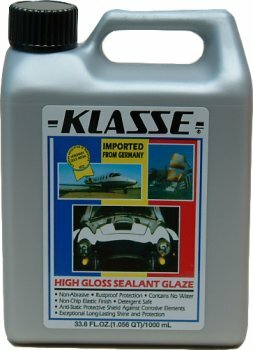 Klasse really provides you with an outstanding acrylic paint sealer here that is brought to you in a large quantity for a budget price too. It is somewhat of a bargain compared to some of the others on this list given how well it works. One unique thing about this paint sealer is that it’s not just limited to use on automobiles; it can be used successfully on all different types of surfaces. To make it look its best try dabbing a little more of it on any spots of the product have dried prematurely. Do this before you do your final buffing. This is by far the best budget paint sealer on our list. It is very affordable with the large 33-ounce bottle that it comes in. That is enough to last you a year’s time or more. Another benefit it has is the strength of the clear acrylic finish that it provides. We just mentioned that it is a product that leaves an acrylic finish. Acrylic finishes are known to be a lot harder to apply because they are less forgiving than other creamy style polymer paint sealants. 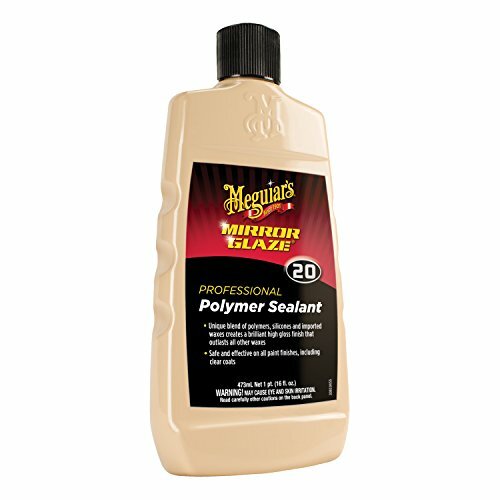 We all really like this fine paint sealant from Meguiar’s because it was very unique, to say the least. It was a little different than some of the others we tested because it was a polymer blend. It not only contains sealant type properties but it also has waxes and other products blended into it. This product is easily applied by using elbow grease or it works very well with a buffer too. Just a little bit goes a long way also. 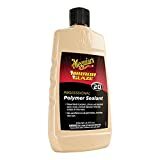 Given the fact that it is a polymer blend type sealant we found it very easy to use. When applying this product it seems to go on smoother and look great without a lot of effort. Many of us agreed that this was our favorite product on the list as far as ease of application goes. Of course, we did not watch how this product performed over a few month period, but we do know a little about auto finishes. We can safely say a polymer type paint sealant will not last you as long as an acrylic paint sealant will. 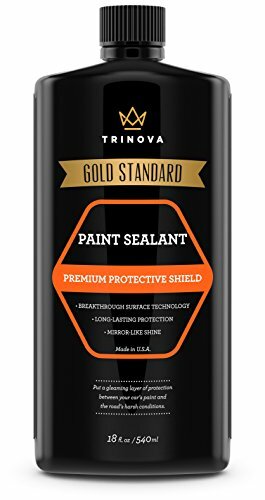 TriNova has manufactured a very good paint sealant here with this product. Everyone here was very impressed with how good our cars looked after we were done trying it out on them. Not one of us would ever hesitate using it on our own personal vehicles. 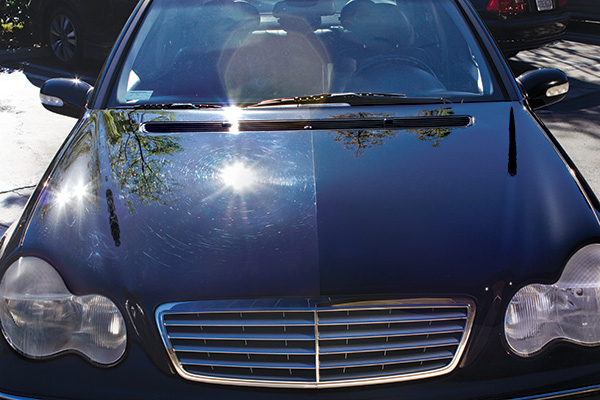 This product will not only protect your car’s finish from scratching but it will even repel the sun’s harmful UV rays. Water just puddles up on it and will simply blow off as you drive. This is yet another polymer paint sealant product that goes on your car very easy and looks great. We found it looks amazing if applied with a buffing tool. It leaves a really bright shine that does a nice job of bringing out the paint color of any car that it is applied to. 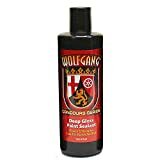 This paint sealant only comes in an 18-ounce bottle so it is a little bit on the expensive side; even if a little bit of it spreads a long way on your vehicle. 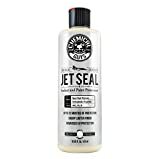 It is also another sealant that in order to get the best results with really needs to be used in combination with other prep products. This is yet another very easy to apply polymer paint sealant that made our list. It comes in a convenient 32-ounce size and is very reasonably priced for a polymer style paint protectant. We all liked the results we go from it when trying it out on our test vehicles. It is a protectant that works even better as a follow-up product to HDspeed. You will be stunned by the results you will get with this combination of products. This product had a slightly different look to it than some of the other polymer paint sealants that we tried. It is as if it left a car’s paint surface with a darker type of shine. This may be due to the fact it blends ‘mined fossilized Montan Wax’ into the product instead of pure carnauba wax like many polymer products do. There was not much we could complain about with this product at all. We know that polymer paint sealants do not last as long as acrylic type paint sealants but that is by no means a deal breaker here. This is a small size bottle but it is very affordably priced for a product that works as well as it does. It comes in an easy to use 12-ounce size that you should get several uses out of. 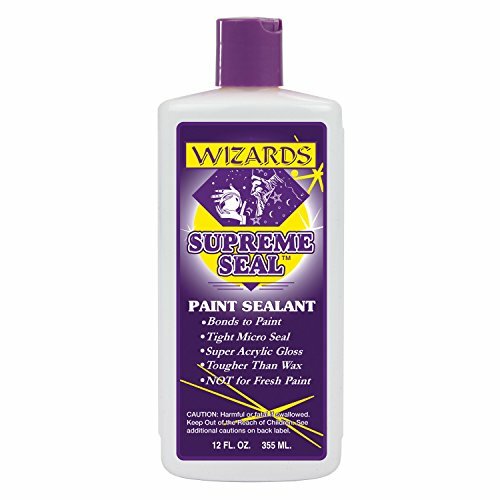 Wizards are known for making quality car care products and this one keeps with that tradition. Like all acrylic paint sealants, it goes on easy and takes very little work to leave your car’s paint finish looks amazing. Some of us prefer acrylic shines over those that polymer paint sealants give you. This acrylic product leaves your car with a very shiny and smooth looking finish. 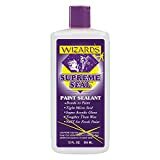 Wizards 11500 is also one of the more reasonably priced paint sealant products to make our review list. 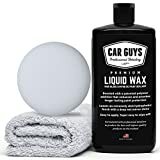 This product specifically states that it is not to be used if your car has a fresh coat of paint on it, so beware of that fact if that is your case and don’t use this product. You also don’t want to buy this product if you have a fleet of cars to do unless you buy several bottles; this is due to its 12 ounce only size. Is It Worth Buying Car Paint Sealant? Many people when they hear the words ‘paint sealant’ they think of the clear coating step that is done during the vehicle’s original painting process. That is totally different from putting a maintenance coat of paint sealant on your car. A paint sealant is like a car wax on steroids. It does the same thing as a wax plus more and it will also last longer during the process. Paint sealants usually come in one of two different types. Both types are synthetic products and that is what makes them do their job so well. Some schools of thought suggest that acrylic paint sealers last longer than polymer paint sealers and it’s probably true because acrylic paint sealers do not have as many types of filler as do the polymer ones. Acrylics also go on easier than do polymer paint sealers. Just as the name implies, a polymer paint finish is a blended chain of several different ingredients that come together to do protect the outer finish on your vehicle. Many of them even include wax. People who use a polymer paint sealer say they do it because they feel it gives them a deeper and more liquid shine than acrylic paint sealers do. Paint sealants have many benefits for your vehicle. They will do such things as block the sun’s harmful UV rays and they will also hide minor imperfections. The coat they provide over the cars finish has been known to last up to a year if it’s applied right. What’s the difference between car wax & paint sealants? We get this question asked to us very often. Waxing a car is done to make your car shine. It is usually done immediately after you wash your vehicle. Most people will apply the wax with a soft cloth or use a buffer. 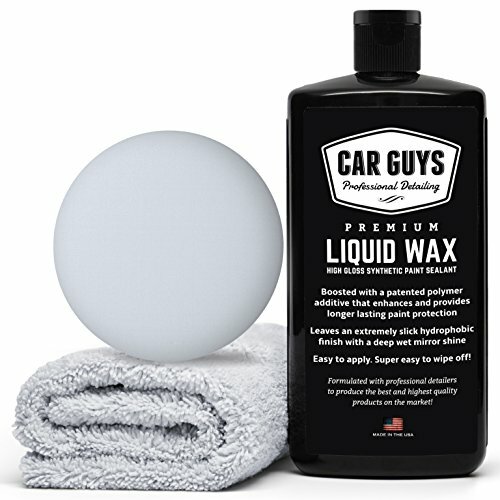 Waxing makes your car look great but it does not do much to protect the paint surface that is underneath. Waxing also does not last very long and has to be repeated on a very regular basis to keep your vehicle looking good. Applying a paint sealer to your car’s finish is also something that is usually done right after you wash your car. Sealers can be applied using a soft cloth or buffer just like you apply waxes. The only difference is you most likely will use an additional preparatory step in the process when using a paint sealer (that will be discussed further in the next question). Paint sealants will usually produce a much deeper and longer lasting shine. Waxes do not protect your car’s finish very much, whereas, applying paint sealer provides a nice coat of protection for the finished coat on your vehicle. Waxing is a monthly chore in most cases but paint sealing needs to be done only 2 or 3 times a year. Paint sealers are initially more costly than waxes, but since they are used less this expense will even out over time. How do you apply a synthetic paint sealant? Thoroughly wash the exterior of your vehicle. It has to be entirely dirt free to get the best results. Removing any dirt and debris also greatly reduces the chances of getting scratches when applying the paint sealant. You don’t have to use a prep product before applying a paint sealant but we recommend it to get long-lasting and impressive results. There are many good prep products in the same places that you will get your car paint sealant. Some good ones are HDspeed or any one of Meguiar’s soft clay based prep products. Most car paint sealers can either be applied by hand or with a buffer; we recommend the later because it tends to more evenly spread the product over the surface of your car. Use a soft cloth cover on the buffer and a low speed to get optimum results. Follow the specific directions on the paint sealer product you used when you do your final buffing. Take your time here because the better the job you do at this step the better your car will look. Once the car paint sealant dries you should have a finish on your car that looks great. You should also not have to do anything but spray it off over the next few months to keep it looking that way. Are you also thinking of buying a pressure washer? Check out the reviews here! $$$ 32 oz. 2 pounds Deep, glossy finish Protects all hard exterior surfaces Natural effects of Mother Nature, bird droppings, acid rain, hard water deposits Hybrid Nano Polymer Sealant-Wax. We hope car paint sealant reviews have cleared up any confusion you may have had about what car paint sealers can do for you. 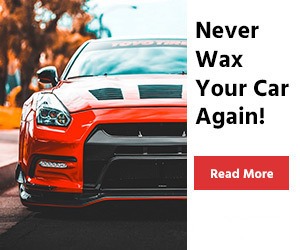 They offer many advantages over simply waxing your car and they don’t take much more time to put on. 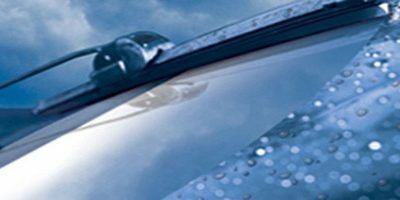 Car paint sealers are known to leave a long-lasting coat of protection over your car’s delicate paint finish. So the next time you think your car needs a good waxing, try a paint sealer instead. You will find that the best car paint sealant will leave a much better finish on your car than any wax you have ever used.